Every security company must operate within the guidelines of their Standard Operating Procedures and General Orders. Our editable orders are designed to limit liability and to act as a guided hand during emergency and day to day operations. The lack of standard operating procedures can greatly increase your vulnerability to civil suits. 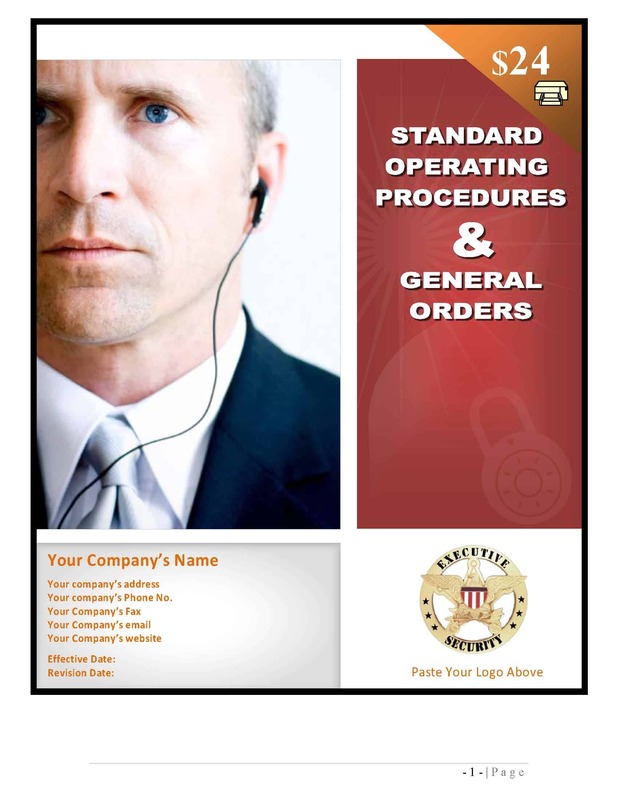 We offer a comprehensive SOP Manual for security companies as an instant download and it’s completely editable and customizable to your business!